By Margret Rand · April 12, 2017, 8:58 p.m.
By Margret Rand · Feb. 17, 2017, 7:51 p.m.
By Margret Rand · Nov. 16, 2016, 10:58 p.m. Entering the Museam of Anthropology on a Sunday morning, one could see a mass of people parking their cars and bringing their kids into the museum. 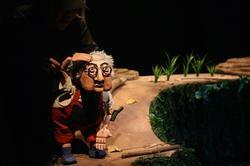 This time it wasn't the impressive collection of indigenous art that Puppet Festival. By Margret Rand · Nov. 8, 2016, 3:45 a.m.
Last week was the eighth annual Thrive Week at UBC — a week-long mental health celebration filled with events that allow students, staff and faculty to learn about their mental health and improve it in a healthy way. By Margret Rand · Oct. 29, 2016, 2:41 a.m.
On October 19, the idea of a Professional Master of Business (MBA) Program was presented in the Senate. 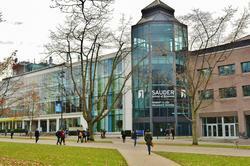 As of right now, the Sauder School of Business offers a 50-credit part time MBA program that takes 28 months to complete. By Margret Rand · Oct. 13, 2016, 8:51 a.m.
You have no excuse for saying you're too busy because they will be there for the whole day. Unless you have classes straight from 10 a.m. to 5 p.m. or have a fear of blood or needles (totally understandable), try to make an effort to show up!